When you do a side-by-side comparison of the two candidates who are in this race to win it, this becomes the easiest decision you'll ever make in a voting booth. Though I'm not fan of Jack Wagner, I don't mean that as a slight at him. Bill Peduto is the Leslie Knope of Pittsburgh City Government. Peduto works harder than anyone and he's overflowing with great ideas. That's not an exaggeration. He's been rolling out one a day in the 100 days leading up to the election. Read as many of these as you're able to. Peduto demonstrates a superior understanding of the challenges and issues Pittsburgh faces as it continues to turn the corner, and meets them with practical, well-designed solutions. Peduto is a rarity among Democrats: he's a progressive with the courage of his convictions who isn't afraid to say what he thinks. I'm a Pittsburgher before I'm anything else -- an American, a Jew, Pirates fan, a writer, member of Gen-Y, a guy with a beard. "Pittsburgher" is the label that supersedes all others. 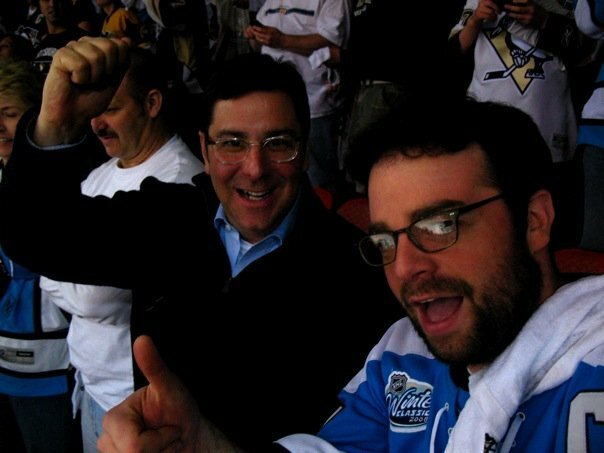 As a Pittsburgher, I can't think of anyone I'd rather have representing my hometown than Bill Peduto. FTC Legions: mobilize. The election is on Tuesday. Get out there and help us get the mayor our town deserves. As the lone dissenter, I won't waste your time with the facts. It suffices to say that we have problems and that THE RENT ON THIS BLOG IS TOO DAMN HIGH. What is "Big Banks" Peduto going to do about that? Matt has ordered me to disclose that my first comment was paid for by a current, nameless, office holder who is no longer seeking office. So much for free speech.